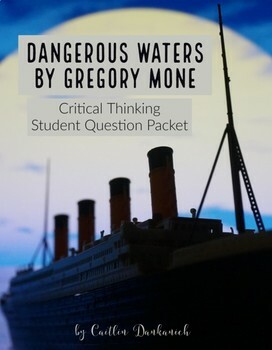 This is a critical thinking question packet to go along with the book Dangerous Waters, by Gregory Mone. 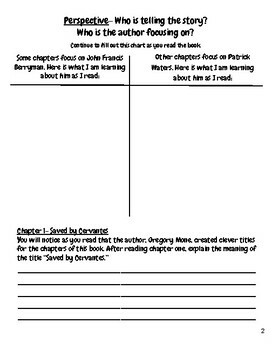 This is a great packet for a group reading the book, a whole class discussion, or even an individual student reading the book. I used it with my higher level 5th graders and we had some awesome conversations. My goal in the questions was to focus on the Depths of Knowledge Domains Three (Strategic Thinking) and Four (Extending Thinking). Students are asked to critique, analyze, develop arguments, investigate, and prove their thinking with text evidence. 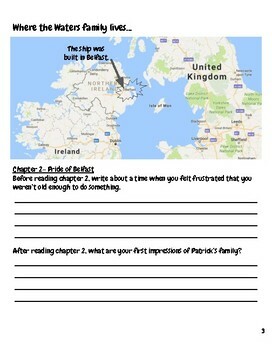 In the after-reading activities students can create an interview with a character, create a reader's theater or write another chapter (all DOK 4 activities). My students used iMovie to create some amazing after reading projects! 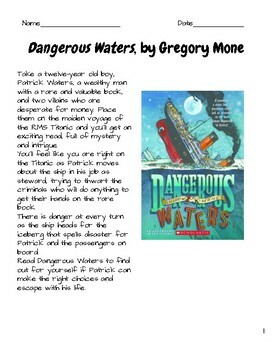 In addition to the questions for each chapter, I have also included pictures throughout the packet so students can see real pictures of the Titanic, its first class facitilies, and some of the other places or things mentioned in the book, such as the Harry Elkins Widener Memorial Library and the cover page of the Essaies book. Please download the preview to check out what some of the pages look like.